Francesca Granucci has pioneered systems biology approaches to study complex dynamic processes of innate immunity, such as host-pathogen interactions and the process of DC maturation in response to different microbial stimuli. She has described the molecular events occurring during bacterial-DC interactions and has uncovered an underlying mechanism of NK cell activation in studies, which demonstrate that dendritic cells (DC) serve as accessory cells to directly activate NK cells. The research group has also demonstrated that CD14, a molecule of the LPS receptor complex, is at the apex of all cellular responses to this bacterial stimulus, by controlling its recognition and TLR4 (the major component of LPS receptor complex) trafficking to the endosomal compartment with the consequent initiation of all of the signaling pathways known to be activated in response to this microbial stimulus. Moreover, her group has identified a new signaling pathway activated by LPS in DCs completely controlled by CD14 and leading to the activation of NFAT transcription factor family members. The activation of the NFAT pathway in innate immune cells has then important consequences in the inflammatory process contributing to vasodilation and increase of vascular permeability in response to microbial stimuli. This extensive work has been successfully crowned by publications in outstanding scientific journals including Nature, Cell, Journal of Clinical Investigation, Cell Reports and others. Innate immunity is the most ancient form of immunity, already present in plants and invertebrates, and relies on evolutionary old signaling pathways. Increasing evidence suggest, nevertheless, that also factors appeared later in evolution, such as the NFAT transcription factors, are activated in innate immune cells. Although the NFAT pathway functions have been best characterized in adaptive immunity, very recent works indicate that in innate immune cells this pathway has a fundamental role for the development of chronic inflammatory diseases, and in controlling the crosstalk with the endothelium and with adaptive immune cells in response to microbial stimuli. A better understanding of innate immune NFAT functions in response to exogenous and endogenous stimuli is, therefore, mandatory. The research group investigates the consequences of NFAT activation in innate immune cells in models of microbial induced (fungi) and sterile inflammation (acute graft rejection), using appropriate mouse models and nanostructured NFAT inhibitors. 1.Study of the role of the NFAT signaling pathway in microbe induced inflammation. The role of NFAT signaling pathway activation in innate immune cells is analyzed in mouse and human models of bacterial and fungal infections. The increase in vascular permeability, edema formation and cell recruitment as well as adaptive immunity activation will be investigated. 2. Study of the role of the NFAT signaling pathway in sterile inflammation. The role of NFAT signaling pathway in innate immunity is analyzed in mouse transplantation models, including skin and hind limb grafts. Alteration of the vascular permeability and the activation of adaptive immune cells will be investigated, as in WP1. Alloreactive T cell tolerance acquisition will be also analyzed. This is a new area of investigation with important implications for the molecular comprehension of inflammation driven immunity. This study has also translational implications. The inhibition of the NFAT pathway with compounds such as Cyclosporine A is one of the most diffuse anti-inflammatory therapies in the treatment of graft rejection and autoimmunity but has potent side effects and interfere with T cell tolerance induction. Understanding the role of NFAT in innate immunity will lay the basis for the generation of more effective and less toxic nanostructured NFAT pathway inhibitors that do not interfere with the tolerization process. Our ultimate goal is to see NFAT pathway inhibition in a cell- and tissue-specific way in the clinical practice, offering potential treatments for autoimmune diseases and graft rejection. Alzheimer disease (AD) is a neurodegenerative disorder and the major cause of dementia in the elderly population. The invalidating problems, the high socioeconomic cost and the lack of specific treatments emphasize the urgent need of therapies that interfere with disease progression. In order to identify potential new treatments, it is necessary to find new molecular pathways involved in chronic neuroinflammation and neurodegeneration. Brain-specific deposition of amyloid plaques is the key pathological feature of this disease. The major constituents of amyloid plaques are β-amyloid fragments of variable lengths, generated by proteolytic processing of the amyloid precursor protein. Neuroinflammation in AD affected brains is concentrated at the sites of β-amyloid plaques infiltrated by cells of the immune system of myeloid origin. In the brains of AD patients and in the brains of AD transgenic mouse models, resident and bone marrow-derived phagocytic cells become activated and increase in number in response to cerebral β-amyloidosis. The physiological meaning of acute activation of inflammatory cells is mainly the internalization of β-amyloid deposits via phagocytosis in the attempt of restoring homeostatic conditions. Phagocytosis of peripheral cell, such as dendritic cells (DCs) is also very relevant in limiting disease progression. Nevertheless, the activation of inflammatory cells has also negative consequences. The persistence of the inflammatory stimulus down-modulates inflammatory cell phagocytic activities and creates a feedback positive loop for the production of inflammatory components that exacerbate diseased tissue damage. Clinical and experimental evidence exists concerning the critical involvement of Pattern Recognition Receptors (PRRs), receptors of the innate immune system involved in the recognition of microbes or microbial products, in mediating neurological dysfunctions. The TLR4/CD14 complex is one of the receptors for the β-amyloid fragment aggregates in the fibrillar form. Recently we have discovered that the NFAT signalling pathway can be activated in innate immune cells following CD14 and other PRR activation as a consequence of the exposure to inflammatory stimuli, including β-amyloid fragments. The NFAT pathway is emerging as one of the required pathways to induce neurodegeneration in different neurological disorders, including AD. The relevance of the NFAT signalling pathway in AD has been also confirmed in human post mortem brain tissues. Here, NFATc2 has been found to be associated with the nuclei in subjects with mild cognitive impairment, whereas NFATc4 has been described to have a strong nuclear association in subjects with severe dementia. In our studies on innate immune cells, we have described important biological processes that require the NFAT pathway in inflammatory stimuli-activated DCs, including regulation of IL-2 and prostaglandin (PG)E2 production, and the induction of apoptosis. All these three NFAT–regulated functions are particularly relevant in AD. IL-2 production is fundamental for the activation Natural Killer (NK) cells, which represent a very early source of IFNγ that in turn contributes to generate inflammatory phagocytes, including inflammatory microglial cells. PGE2 is one of the major negative regulator of phagocytosis and a direct and indirect neurodegeneration stimulus. In addition, negative effects associated with PGE2 production concern the increase in vascular permeability due to vasodilation, possibly favouring neuronal uptake of blood-derived neurotoxic proteins and reduction in the microvascular blood flow. Finally, concerning the NFAT pro-apoptotic role, β-amyloid fragments-induced activation of the NFAT signalling pathway in neurons has been identified as one of the principal causes of neuronal death, but the mechanism of NFAT-mediated neurodegeneration remains unknown. The research group is investigating: i) the Calcium/calcineurin and NFAT pathway induced by β-amyloid fragment aggregates in innate immune cells and in neuronal cells; ii) the mechanism through which the Calcium-NFAT pathway induces neuronal cell and innate immune cell apoptosis following β-amyloid fragment aggregate exposure; iii) the role of the Calcium-NFAT pathway in controlling DC phagocytosis; iv) in vivo, the general role of NFAT activation in the development of the disease in AD mouse models, and the possible effect of pharmacological NFAT inhibition using nanostructured NFAT signalling pathways inhibitors. We expect to identify the different roles of the NFAT signalling pathway activated in the presence of Aβ aggregates in innate immune cells and in neurons in AD progression and neurodegeneration. Given the proapoptotic role of the NFAT signalling pathway in DCs and neurons and the proinflammatory role of this pathway in DCs and microglial cells, interfering with the NFAT pathway could represent a way to reduce neuroinflammation and neurodegeneration. 2007-today: Prof. Giberto Chirico, Department of Physics, University of Milano Bicocca, Milan, Italy. Topic: Biophysics and Imaging techniques (in vivo Multi-photon, Confocal microscopy). 2010-today: Dr. Davide Prosperi, Department of Biotechnology and Biosciences, University of Milano Bicocca, Milan, Italy. Topic: nanomaterials and creation of a new nano-based drug to specifically inhibit the activation of the NFAT pathway in innate immune cells and to target specific innate immune cell types. 2014-today: Prof Gerold Brandacher and Prof Giorgio Raimondi, Johns Hopkins University, Baltimore, USA. Topic: hind limb transplantation models, tolerance acquisition in transplantation models. 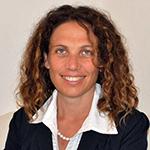 2015-today: Prof. Michela Matteoli, ICH. Topic: role of the NFAT signaling pathway in Alzheimer disease.